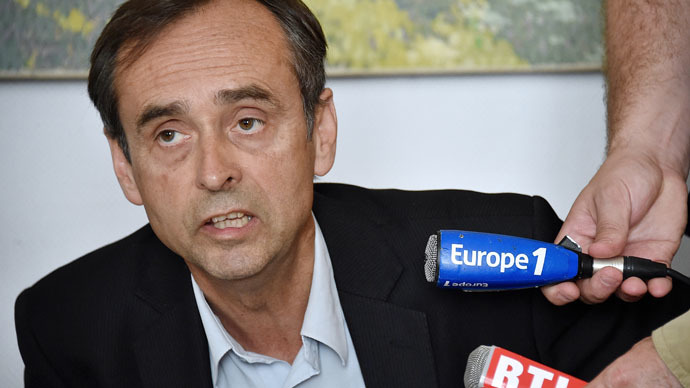 Robert Menard, the mayor of Beziers, has caused an uproar revealing his administration had compiled a list of school pupils’ names to see how many were Muslim. France’s laws prohibit authorities from keeping statistics on people’s religion or ethnicity. Appearing on TV show Mots Croisés on Monday night, Menard claimed that Muslim school children amounted to 64.6 percent of the total, and that the administration had arrived at that figure by counting the names of the children class by class. "Sorry to say this, but the town hall has, class by class, the names of the children. I know I don't have the right to do it. Sorry to say it, but the first names tell us their religion. To say otherwise is to deny the evidence," he said on France 2 television. But the town hall of Beziers denied Tuesday that there were any lists of children’s names or that anyone had tried to identify which ones were Muslim. “The republic does not make any distinction between its children,” he added. Education Minister Najat Vallaud-Belkacem has called for a judicial investigation into Menard’s comments. “Moreover, you can be called Mohammed without being a practicing Muslim,” he said. A comment piece in the French daily Le Monde noted that what the mayor did is prohibited under French law under article 226-19 of the Penal Code and is punishable by up to five years in prison or a 300,000 euro fine.